Begonias, with the exceptions of the hybrid specimens are monoecious, producing both male and female flowers on the same plant. In this way, if necessary, the begonia can self-pollinate. 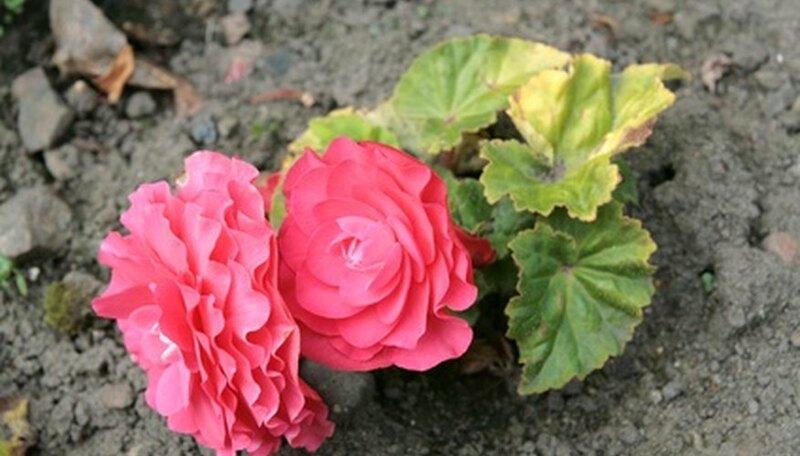 Hybrid begonia plants, while beautiful, usually do not produce pollen, fertile flowers or seeds, but can be reproduced through cutting and rooting in water, a simple and efficient process. Some begonia plants are more appropriate as hanging houseplants as their flowers sprout on long, dangling and branching stems. This is a very hardy plant, as long as there is not a huge variation of moisture, temperature and sunlight. The petals of the begonia flower are the soft, colorful portions of the flower. They are designed to attract to the plant the types of insects that prefer those colors in order to assist pollination. Both male and female flowers have petals and both exist on the same plant. The petals are pale yellow at the base and brightly colored throughout. For example, if the flower is red, the whole petal is the same shade of red except for the portion that connects to the yellow stem. The stamen of the begonia flower is the male reproductive center of the plant and this is where the pollen is manufactured. The stamen is a slender rod called a filament with double lobes on the top where the actual pollen exists. Pollen produces the sperm cells of the plant which then can be moved from one flower to another by insects, causing pollination to take place. The pistil is the female reproductive center of the begonia, consisting of three parts: the ovary, the style and the stigma. The ovary is positioned at the base of the pistil, the style is the portion that extends outward from the ovary. The stigma sits at the end of the style and is where the pollen enters the flower.